Now you can taste beers of the world without having to travel across the globe with The International Beer Club by The Microbrewed Beer of the Month Club. This monthly membership makes a great gift for friends or family members who love beer and want to expand their palates to include beers from breweries in far off countries. It's also a great gift to yourself because...it's beer. Plus, you'll always have something interesting in the fridge when friends drop in to visit. The International Beer Club features two breweries each month, and recipients get a full 6-pack of a unique style of beer from each brewery for a total of 12 beers. The experienced beer tasters at The Microbrewed Beer of the Month Club try to keep their international selections fresh with seasonal brews from a mix of established international breweries and up and coming craft breweries. Beers are imported from classic beer regions like Germany, Belgium and the U.K., as well as from lesser known areas like the Czech Republic and Lebanon. 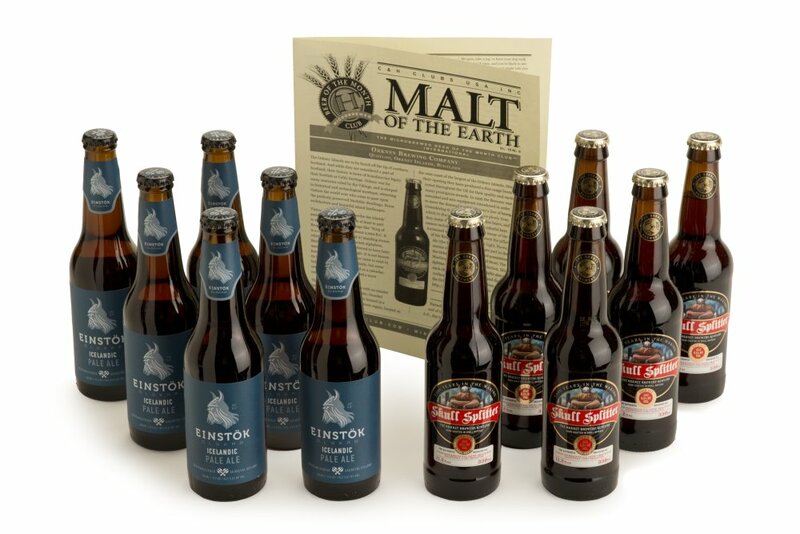 For $34.95 per month plus $15 shipping and handling, customers receive 12 highly rated international beers plus a monthly newsletter highlighting a featured beer, brewery or brewing region, plus tasting notes for the monthly selections and suggested food pairings. You can select the number of months you want to have beer delivered (between 2 and 12), or select an ongoing membership that continues until you decide to cancel. Save $25 by signing up for a prepaid 12 shipment membership. You can also specify if you would like to receive shipments every month, every other month, or quarterly (every 3 months). Save Money! Use code HR12 at checkout to receive $12 off 4 or more prepaid shipments! Quality, variety, and outstanding service all help ensure that customers are satisfied from the time they place their order to when their Beer Club shipment arrives. Plus, this is the easiest way for beer lovers to sample outstanding craft beers from international breweries without ever leaving the country. The Microbrewed Beer of the Month Club has been in business for more than 20 years, and their beer judges and brewmasters have over 100 collective years of experience in the brewing industry. Get $15 off 5+ prepaid shipments. Get $25 off 12+ prepaid shipments. Winter Sale: $25 off IPA-inspired Beer from Microbrewed Beer of the Month Club: The Hop-Heads Beer Club. Valentine's Day Sale- Get $25 off Microbrewed Beer of the Month Club. $18 off any Prepaid 6-shipment order. Valentine's Day Sale: $15 off any Prepaid 6 Shipment order. Combine/design Your Own Ipa Beer Clubs and Save $15. Valentine's Day Sale - Get $10 off Microbrewed Beer of the Month Club: Featuring the Popular Rare Beer Club. Get $10 off The Hop-Heads Beer Club : Get $10 off Microbrewed Beer Club.